We describe modern and ancient rules of Keno by focussing on ways to win and also relate the history of the game. Keno, similar to bingo or a lottery, is a numbers game. Keno players pick the numbers for their tickets from a Keno cards with 80 numbers. A player can pick as many numbers as desired circling with a pencil. When the numbers are chosen, players must bring their cards to the Keno clerk that issues a receipt after recording the numbers. After this, the game starts. Winning numbers are light up or displayed on a video monitor. Players mark them on their cards. If five or more numbers the player chose at the beginning match the winning numbers, the player wins money. The winning ticket must be taken to the keno booth immediately. Drawings usually take place every five minutes, and if a new drawing starts, all unredeemed tickets from previous drawings become void. of stray-and-play ticket, up to a year after purchase. According to one opinion, keno history started at ancient China. A game similar to nowadays Keno was introduced by Cheung Leung of the Han Dynasty around 200 BC. The keno history myth says that the game was invented by Cheung who was looking for ways to earn money to fund his army. Like keno, it was a numbers game, which gained huge success and helped saving the city from defeat in the war. The game arrived to other parts of China and it is said it helped to fund the Great Wall building. The game was called the White Pigeon Game since the winning numbers were sent from the big cities to smaller villages by carrier pigeons. In the ancient Chinese version of keno, the boards contained 120 characters. The most popular theory about keno history claims that the game was brought to North America by Chinese immigrants. Keno was played often by Chinese railroad constructors around San Francisco and it was known as Chinese lottery. Keno was not a popular game outside the Chinese immigrants community until 19th century. At this point of the keno history, the Chinese characters were replaced with numbers and instead of 120 characters, the keno boards contained 80 numbers. Since lottery was considered an illegal form of gambling in Nevada, all it took was to change its name from Chinese lottery in order to legalize it. It was named horse race keno. In the last part of the keno history lesson, when the state of Nevada government allowed off track gambling within its limits, the game went through another name changing, and became keno. 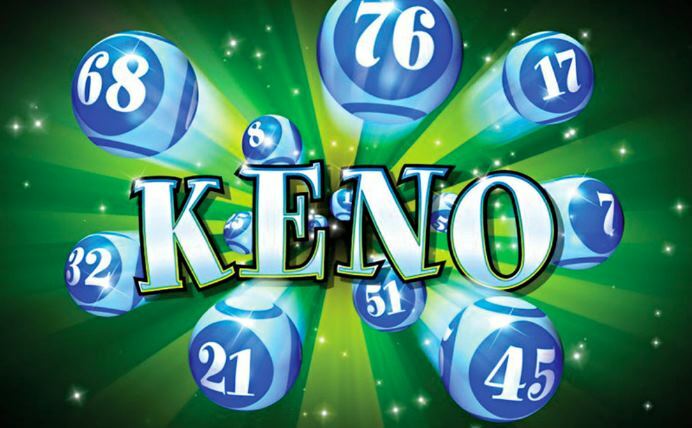 Nowadays keno competes with the popularity of bingo and lottery as a sociable as well as profitable game.